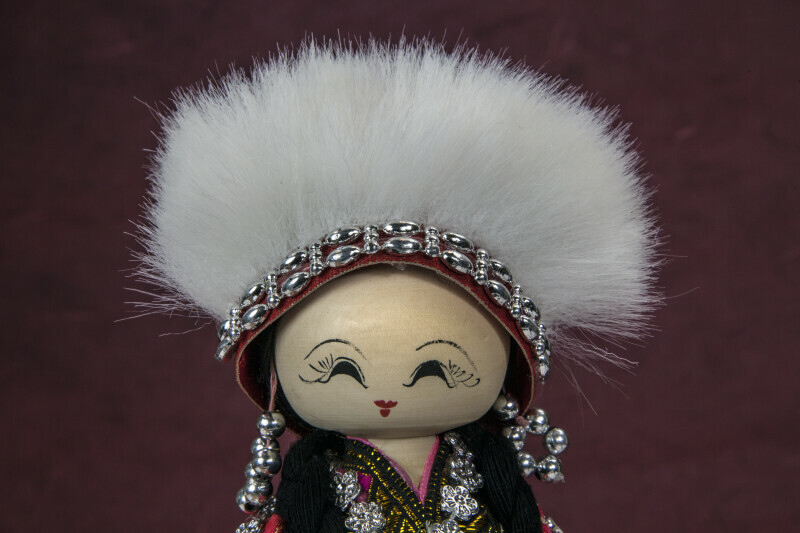 Chinese doll made from wood. She is wearing a red brocade shirt with a black skirt and apron. Her hair is black yarn that is braided with yellow ribbon at the end. Her hat has white fur with silver beads. She is wearing silver earrings made from beads, and she has silver sequins on her shirt and apron. Her face is hand painted on a wooden bead. The figure is 9 inches (23 cm) tall. WARNING: You are about to download a 36.3 MB TIFF!